Abu Dhabi: The feature film Shabab Sheyab will premiere in Saudi Arabia on November 8 to become the first GCC film to play in cinemas following the opening of movie theatres in the Kingdom this year. Image Nation Abu Dhabi released the film in Riyadh. The star-studded UAE premiere will take place at Atlantis The Palm on November 17, and across the emirates on November 22nd. 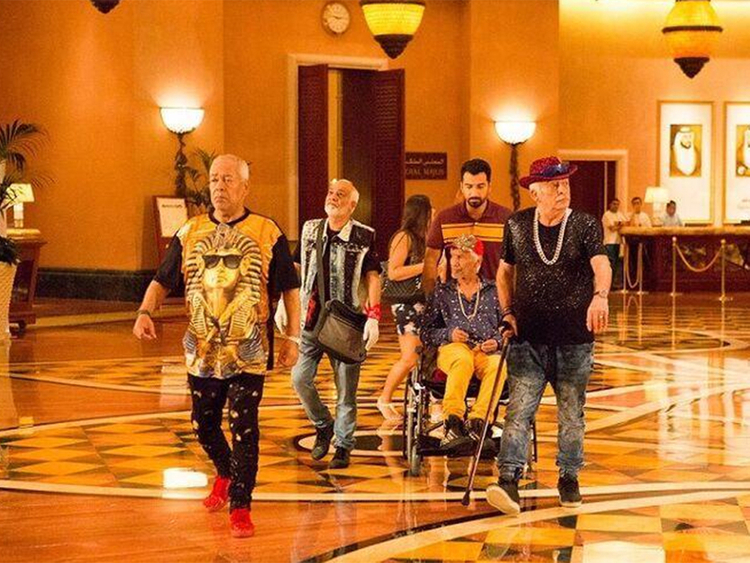 Directed and written by Yasir Al Yasiri, the family-friendly movie follows four elderly friends (featuring prominent GCC actors Saad Al Faraj, Marei Al Halian and Mansoor Al Feeli, alongside Syrian star Salloum Haddad) living in a senior citizens home. When one of them inherits a large fortune, the friends escape for a life-changing adventure to Dubai, encouraged by their doctor and nurse, played by Kuwaiti stars Laila Abdullah and Fouad Ali. "Shabab Sheyab tells a story of family, friendship and self-discovery that is universally relatable but will particularly appeal to GCC audiences – so it's very exciting that it will be the first regional film released in Saudi Arabia," said Al Yasiri. "Arabic-language entertainment best reflects the region's way of life. With an incredible cast and crew from across the Arab world, including the UAE, Kuwait and Syria, regional voices and stories have been at the heart of this project from start to finish." Saudi Arabia is set to open almost 350 cinemas with 2,500 screens by 2030, serving an audience of 32 million consumers. The entertainment industry is expected to contribute $24 billion (Dh88 billion) to the local economy and create 30,000 permanent jobs. Ben Ross, Chief Content Officer at Image Nation Abu Dhabi, said, "Saudi Arabia has launched an ambitious vision for a sustainable and commercially viable film industry, and with 15 million consumers under the age of 25, this is a significant new market for local creativity. Arabic-language entertainment is in high demand among Saudi and GCC audiences, so opening the first regionally-made film in the country is a major milestone and sets the tone for a bright future." Shabab Sheyab premiered at the prestigious Palm Springs International Film Festival in January 2018 to glowing reviews.